← MARCH FOR BLACK WOMEN DETROIT: SAT. NOV. 17 12N to 4 PM–WITH SISTER MARCHES IN NYC, WASH. D.C.
Tuesday’s midterm elections put Democrats back in control of the U.S. House while strengthening the Republican hold on the Senate. The big picture is that, two years after Donald Trump replaced the GOP’s old arsenal of racial code words and dog whistles with blaring white supremacist bullhorns, majorities of U.S. whites are firmly committed to an openly white nationalist political program under the leadership of a billionaire huckster who speaks their vile language. Although the GOP remains a minority party — Democrats outpolled them in House races by 7 to 9 percent – white supremacists remain the largest bloc in the U.S. political spectrum. The 2018 midterms were a test, not of insurgent left-leaning Democrats — a disorganized and confused faction that was kept largely in check by the party’s corporate leadership — but of whether Donald Trump could continue to hold majorities of white Americans in thrall to his non-stop, red-meat racist political theater. Republican gains in the Senate reflect both the solidity of the white supremacist bloc and the structural racism of the U.S. electoral system. The Democratic gain of up to 28 seats in the House is not unusual for presidential incumbent parties at midterm ; Democrats lost 54 seats in 1994, under Clinton, the GOP dropped 39 seats in 2006, under Bush, and Obama’s party lost a whopping 63 seats and both houses of Congress in 2010. The latest election has given the corporate Democrats leadership of one house of the national legislature, but did not break white supremacy’s hold on majorities of white voters. The White Man’s Party, as redefined and reinvigorated by Donald Trump, is still the nation’s most formidable bloc, by far. This was a rematch of the contest that corporate Democrats wished for and thought would allow them to win decisively back in 2016. Democratic leaders sought to set the terms of electoral battle as a conflict between “deplorables,” as Hillary Clinton described white supremacist voters, and the rest of the electorate, the great bulk of whom the corporate Democrats believed could be corralled into Hillary’s Big Tent, where big city and Deep South Black politicians, Rio Grand valley and East L.A. Hispanics, suburban white “moderates,” Silicon Valley and Wall Street oligarchs, scheming CIA operatives and warmongering generals would find common cause against the Orange Menace. Clinton campaign chief John Podesta urged his troops and their friends in media to do everything possible to boost Donald Trump’s bid for the Republican nomination, in the certainty that Clinton would beat him in a landslide — as incontrovertibly documented in the emails that were pilfered and delivered (not hacked) to Wikileaks (not the Russians) and sent to the media. By March of 2016, corporate media – most glaringly CNN, but including the whole herd — had already given Trump’s GOP takeover gambit $2 billion in free media, amounting to more exposure than all the other candidates from both corporate parties, combined, including Clinton. By end the of the general election campaign, corporate media had bestowed a total of $5 billion in free media on Donald Trump — their criminally cynical contribution to the solidification and consolidation of the white supremacist bloc in the United States. Trump is not their Frankenstein, but the Democrats and their media supplied most of the electricity that energized the monster. White supremacy is endemic to the U.S., part of its founding settler DNA, but the corporate media and Democratic Party’s strategy to help install Trump as a “straw man” presidential candidate who could be swept aside in the general election wound up giving white supremacists a champion around which to unite. 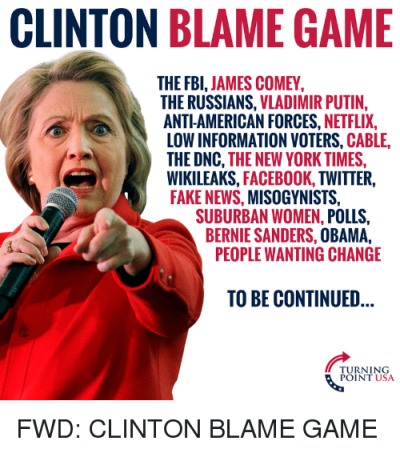 When the strategy failed, they blamed it on the Russians and launched a neo-McCarthyite campaign of slander against domestic dissidents — like Black Agenda Report — blaming the “far left and far right” for “sowing discord” on behalf of a foreign power. 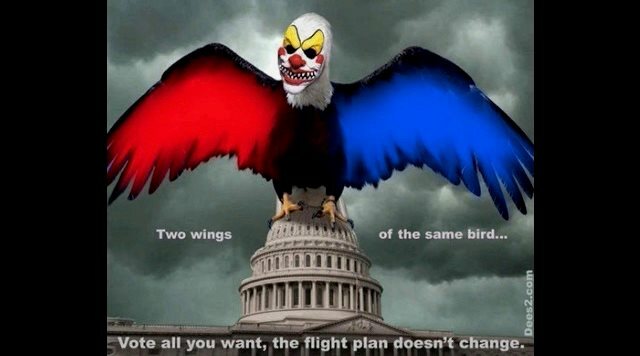 It was their own failed electoral strategy that had destabilized the corporate duopoly, simultaneously threatening the “corporate consensus” on foreign and domestic policy and giving new life to the Old Confederacy. This is the big picture — much of the rest of the midterm results is clutter. The white supremacist bloc flexes its muscles and fingers its triggers. 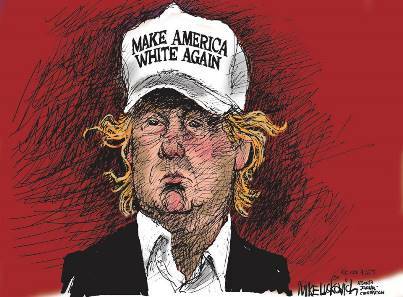 The racist horde — a majority of whites – feels a renewed entitlement to primacy in the national life. What crap. By “peace,” she means less rancor between the two corporate parties. 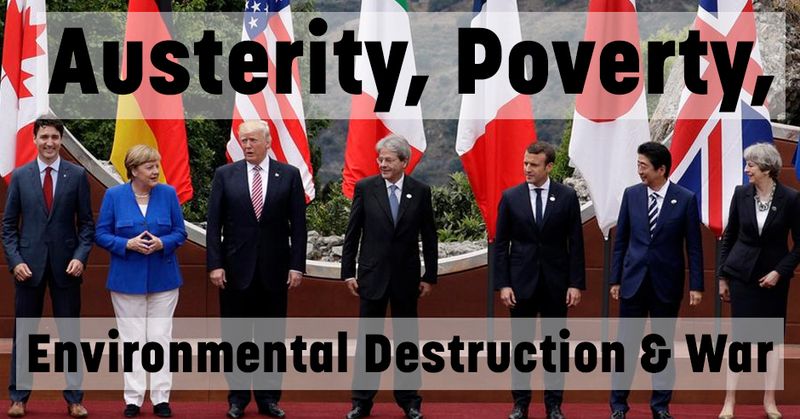 The actual corporate agenda is austerity and war, the only future the oligarchy envisions for the planet. Trump shares this imperial vision — when he is thinking about subjects other than himself — but is glad to ride and stoke the white revanchism that is now part of his brand. Only Big, Alternative Projects — transformational programs, like single payer health care, that actually shift power and resources from the ruling oligarchy to the masses — can erode the coherence of the White Supremacist Bloc, forcing significant numbers of them to abandon the prioritization of race, and at the same time galvanize the numeric majority of the nation: minorities of whites and majorities of everybody else. 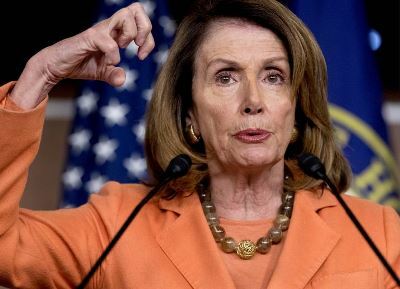 Nancy Pelosi’s job is to make sure that does not happen in her wing of the duopoly, despite the fact that 85 percent of Democrats — and 52 percent of Republicans — favor Medicare for All, with only 20 percent of Americans opposed. 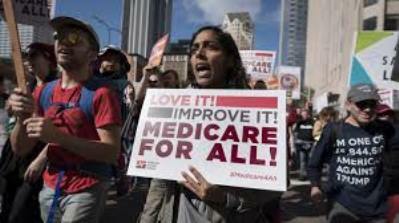 In other words, there is an overwhelming popular consensus in favor of single payer health care that is diametrically opposed to the corporate consensus. Corporate parties, in a duopoly system, cannot resolve that contradiction in favor of the people. Gretchen Whitmer and allies celebrate her win as Michigan governor. What is the future for Detroit and Michigan under Democratic Gov. Elect Gretchen Whitmer and team? Unlike several of her Democratic opponents, Whitmer did NOT support Medicare for all, wants “re-insurance” plan to give tax $$ to insurance cos.
DETROIT – The article by Glen Ford of the Black Agenda Report above is highly applicable to the future of both Detroit and the State of Michigan under its newly-elected Democratic governor Gretchen Whitmer and her appointees. Detroiters and others are understandably enthusiastic about the end of Republican Governor Rick Snyder’s regime. Under it, Snyder and his emergency managers poisoned the water and people of the entire city of Flint without going to prison, engineered the largest (and unnecessary) municipal bankruptcy in the history of the U.S. in Detroit, stealing the city’s public assets and leaving it 300 percent more in debt, and likewise decimated every other majority-Black city in Michigan. Emergency managers also laid waste to public school systems across the state. Among them is the previously venerable Detroit Public Schools district, which was split into two entities, one left to pay off the massive debt thrust on DPS by the banks, and the other which operates what is left of the district, less than half of the schools that existed before 1999, without any access to financing. Most Detroit children now attend unregulated for-profit charter schools paid for out of state school funds. Throughout this period, the Detroit Active and Retired Employees Association (DAREA), Moratorium NOW! and other groups demanded that the banks cancel the debt owed by the city and schools, as well as that of homeowners threatened with foreclosure, and campaigned vigorously against the Detroit bankruptcy filing. They also led an ultimately unsuccessful campaign to put the sale of Detroit’s Water and Sewerage Department on Detroit’s ballot, pursuant to a state law allowing municipalities to do so. 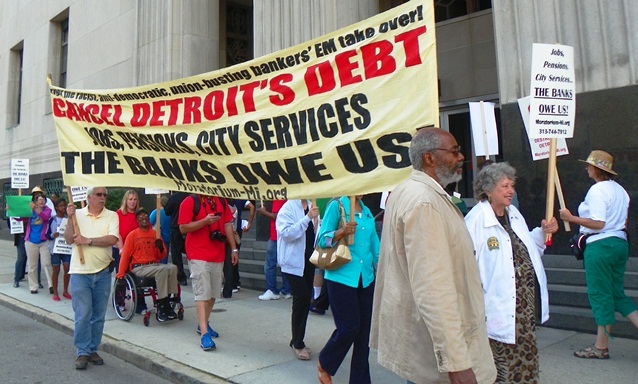 City retirees, residents demand cancellation of Detroit’s debt outside bankruptcy court. During the weeks leading up to the election, I worked in a Get Out the Vote door-to-door campaign to earn funds to move from the landmark Jeffersonian Apartments, which has been sold to greedy developers Joe Barbat and Arie Liebowicz. Residents, many of them seniors who have lived here for more than 30 years, have been forced to move due to huge rent increases, the institution of costly individual tenant bills for water, sewerage and heat, under American Utilities Management, and large increases in parking and other fees. This house shows what is happening under “Mayor” Mike Duggan. What I saw as we canvassed neighborhoods on the east side of Detroit, however, stunned me and made me realize that I am fortunate in comparison to tens of thousands of other Detroiters. Fifty-nine percent of this city’s children live in poverty. Homeless people, mostly Black, haunt the streets of Mike Duggan and Dan Gilbert’s “come-back” downtown, “Mid-Town” (formerly the Cass Corridor), the North End, and now my neighborhood. The youth of the city are demonized and set upon constantly by the police. 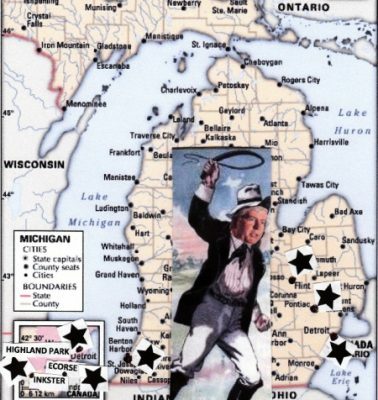 Current prisoners in the Michigan Department of Corrections report that a whole new generation is flooding into those concentration camps, where at least 70 percent of the occupants are Black. 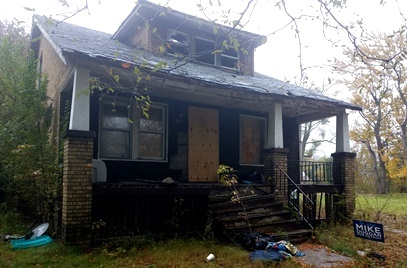 I knew already that Detroit neighborhoods have been under assault for years by foreclosures carried out by the thieving banks, which caused the 2008 global economic meltdown through predatory lending, and tax foreclosures carried out by merciless city and county officials. Houses with caved in roofs like this were lined up all the way down various blocks. 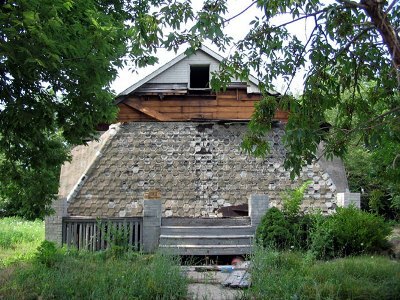 But I was not prepared for the sight of blocks upon blocks of homes with their rooves caved down to street level, the sight of a long stretch of Brush Street reduced to just that—brush, with only a few homes left standing, and the massive devastation of the portion of Hamtramck west of Davison, to cite only some examples. Even residents who have managed to maintain livable homes in relatively decent areas are forced to co-exist with boarded-up and burnt-up foreclosed homes. Most residents did not open their doors when we knocked to find out if they planned to vote, understandably afraid of who might be outside. So we just left literature and called out their poll locations to them. But one young woman did answer. She said homeowners in a wide swath of land near her have already been forced out by developers. They include New Far East Development, which owns 530 vacant properties, and the massive I-94 Industrial Park development, where former structure have been razed to the ground. Despite getting millions in government funds for these projects, the developers have done nothing to enact their alleged plans to restore and revitalize the neighborhoods. 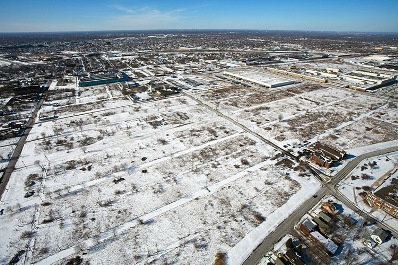 Part of the I-94 Industrial Corridor, razed to the ground. Other people we ran into included homeless youths “squatting” in abandoned properties. One jobless youth told me he had just come from donating blood to get money. When I reported my observations to organizers of the GOTV campaign back at the office, I also noted that people need to be wary of now-Gov. Elect Gretchen Whitmer. I recalled that the majority of schools shut down in Detroit were shut down during Democratic Governor Jennifer Granholm’s two terms. The two main organizers agreed wholeheartedly. One noted the lack of any real discussion during state campaigns of children, poverty, Medicare for all, rebuilding schools, and other issues vital to the people. The other recalled that Granholm was responsible for approving the first Emergency Manager act covering school districts. 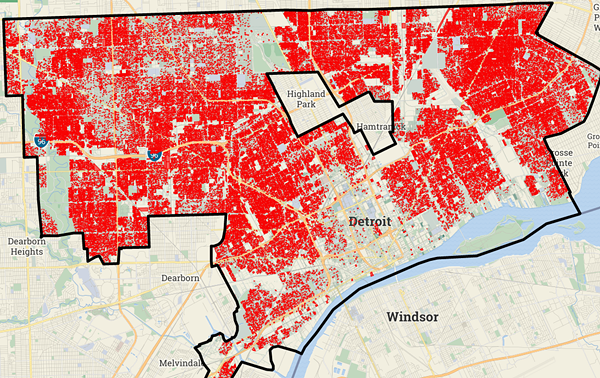 Map of Detroit shows all foreclosures since 2002, which have devastated neighborhoods. Note lack of foreclosures in tiny downtown-‘midtown’ area. By Loveland Technologies. In fact, in the wake of Detroit Mayor Mike Duggan’s request to borrow $255 million in tax-exempt capital improvement bonds for the recreation and public safety departments, Moody’s Investor Service, normally a cheerleader for more debt, sounded an alarm Nov. 8. Moody’s added, “Since 2010, Detroit’s population has increased 28% or about 10,000 in the city center, but the overall city populace has lost 35,000 citizens. The divergence in population and demographic trends impact revenue mix and Detroit’s ability to afford its fixed costs including pension expenditures. Per-capita income is just above 52% of the nation. 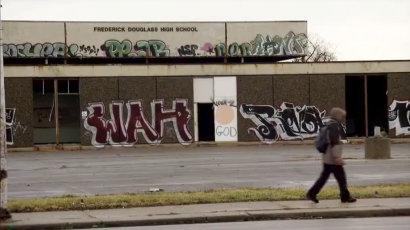 Long-closed Frederick Douglass High School on east side typifies Detroit’s dozens of closed schools. Moody’s also cited problems with Detroit schools. To add more cause for alarm, Bridge Magazine reported Oct. 24, “Seven years after a disastrous series of public meetings about then-Mayor Dave Bing’s plan to downsize Detroit, city officials are amid a $57 million, five-year analysis of the water and sewer system. “The study is intended to help prioritize repairs, but water officials acknowledge the findings may help determine whether the city should offer to pay to move residents out of abandoned neighborhoods and shut water lines. “Mayor” Duggan’s hand covers Detroit, where small pipelines are the only remaining property of the DWSD, which formerly covered six counties and 40 percent of the state’s population. 2014 Photo from bankruptcy proceedings press conference. DTE and other utilities have also discussed plans to shut down the provision of services to sparsely-populated areas where the most of the city’s Black homeowners and renters have been forced out by the banks and politicians. DWSD is a shadow of its former self. Once the city’s “crown jewel,” it owns only the smaller pipelines inside the City of Detroit, where once it provided water for 40 percent of the state’s population and owned wastewater and freshwater treatment plants throughout six counties. It was the third largest water and sewerage department in the U.S. Its downriver Detroit Wastewater Treatment Plant was the largest in the world. 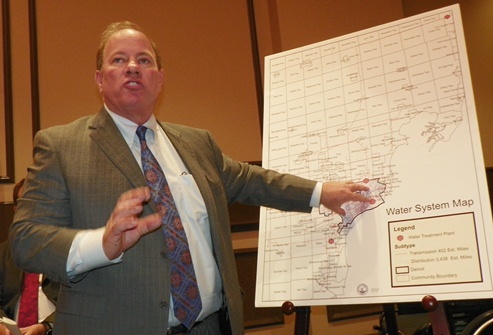 During the bankruptcy debacle, Mayor Mike Duggan and area county executives agreed to the establishment of the regional “Great Lakes Water Authority” in 2014, after 41 percent of DWSD’s staff had been eliminated. Since then, constant “boil-water” alerts, massive ruptures of pipelines and failures of sewage treatment plants have resulted in flooded freeways and basements across the six counties, and thousands of water shut-offs have become the norm. What is on Gov. Elect Gretchen Whitmer’s agenda to deal with these problems? A look at her recently-announced transition team raises red flags immediately. These were the players who engineered Detroit’s devastating bankruptcy. VOD reported earlier that Dennis Archer, a fervent advocate of Detroit’s bankruptcy filing under emergency manager Kevyn Orr, teamed up with megamogul Dan Gilbert of Quicken Loans and Matt Cullen of Gilbert-affiliated Rock Ventures in a meeting with former Pres. Barack Obama’s staff in 2013 to discuss the post-bankruptcy future of Detroit, before U.S. District Judge Stephen Rhodes had even approved the filing. Archer worked as a consultant for UBS AG, one of the two banks which foisted a $1.6 billion “Pension Obligation Certificate” loan on the city in 2oo4. EM Kevyn Orr cited that loan as a key factor in the city’s bankruptcy. He even filed suit to cancel the loan, covering his a–. but never followed through. Archer was also a gung-ho advocate of privatization of Detroit city services during his sole term in office. McQuade was responsible for the conviction of former Mayor Kwame Kilpatrick, which resulted in a term of 28 years in prison, a term many call disproportionate and racist. She also prosecuted former Michigan Supreme Court Justice Diane Hathaway on bank fraud charges, brought against Hathaway through two other justices who disagreed with the Court’s 2012 landmark opinion in People v. Moreno. That little-publicized opinion, written by Hathaway, upheld the common-law right to resist illegal police conduct and affects tens of thousands of cases across the state. Previously, an appeals court ruling held that there was no right to resist such illegal conduct. Barbara McQuade stands at Detroit Police Chief James Craig’s side as he announces formation of multi-agency task force to raid poor neighborhoods. McQuade was U.S. Attorney during the 2015 execution of 19-year old dad Terrance Kellom by a multi-agency task force including a federal I.C.E. agent. She was in office as the Department of Justice investigated and exonerated local FBI agents and Detroit and Dearborn police in the 2009 assassination of Imam Luqman Abdullah. Many other Detroiters have been killed by police without reaction from the U.S. attorney during her term. 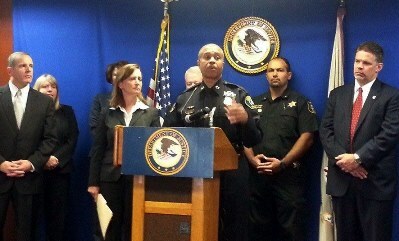 McQuade worked closely with Detroit Police Chief James Craig, appointed by Emergency Manager Kevyn Orr, during other multi-agency raids on poor neighborhoods. 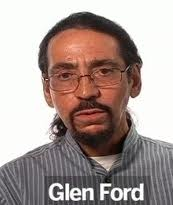 McQuade barred beloved long-time community activist and paralegal Cornell Squires from her office, after he approached her numerous times regarding killings by Detroit police and illegal foreclosures, among other issues. 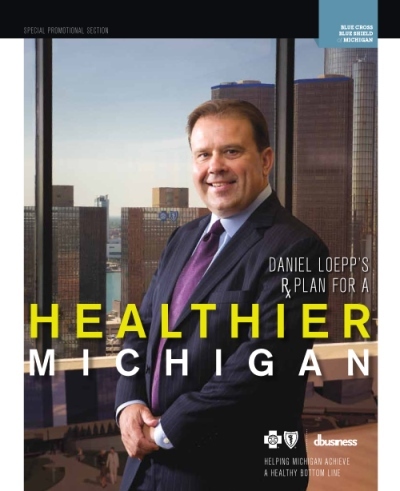 DANIEL J. LOEPP –BC/BS MICHIGAN PRES., CEO, MAKING $13 M/YR. At a time when polls show that the vast majority of people in the U.S. support single-payer health insurance unassociated with private insurance companies, also known as “Medicare for All,” Whitmer stood out significantly from her Democratic opponents in the primary who endorsed that option, medical doctor Abdul El-Sayed and businessman Shri Thanedar. Her appointment of Blue Cross Blue Shield’s CEO Daniel Loepp to her transition team stands out like a sore thumb. Obamacare has been subject to attack from the right, but it has been unable to mount a counter-attack due to its association with private insurance companies. “Medicare for All” means just that. The national government already has a database of all U.S. citizens in that program, now primarily limited only to those who are over the age of 65. This simplest approach to providing national public health care, common in other countries as well as several states in the U.S., is something Whitmer has already eschewed. 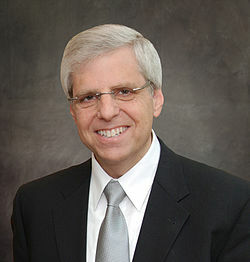 Whitmer’s father, Richard Whitmer, was president and CEO of Blue Cross Blue Shield of Michigan between 1988 and 2006. And in March, lobbyists for the company held a fundraiser for the Whitmer campaign. “The vibrancy of Michigan’s economic climate is driven by public policy put forward by our state’s Governor; and we believe Gretchen Whitmer will be a great leader for Michigan,” the lobbyists said in the invitation announcing the fundraiser, which was on Whitmer letterhead. Gary Torgow, bank chairman and Sterling Group CEO. Chairman of Chemical Financial Corporation, the holding company of the largest bank headquartered in Michigan, Mr. Torgow is also the founder of the Sterling Group. He is a member of the Executive Board of Business Leaders for Michigan and the Jewish Federation of Metropolitan Detroit and is a member of the Board of the Detroit Downtown Partnership. The Sterling Group is currently buying up properties in the Cass Corridor (now called “Mid-town”), including the former Burton School. It already owns the Ford Building in downtown Detroit as well as the Guardian Building, which it purchased in a controversial, costly deal with former Wayne County Executive Warren Evans. The Sterling Group has been a major contributor to many political campaigns including that of Dennis Archer. Others on the team are listed in a press release at http://voiceofdetroit.net/wp-content/uploads/Governor-elect-Gretchen-Whitmer-Announces-Transition-team.pdf.